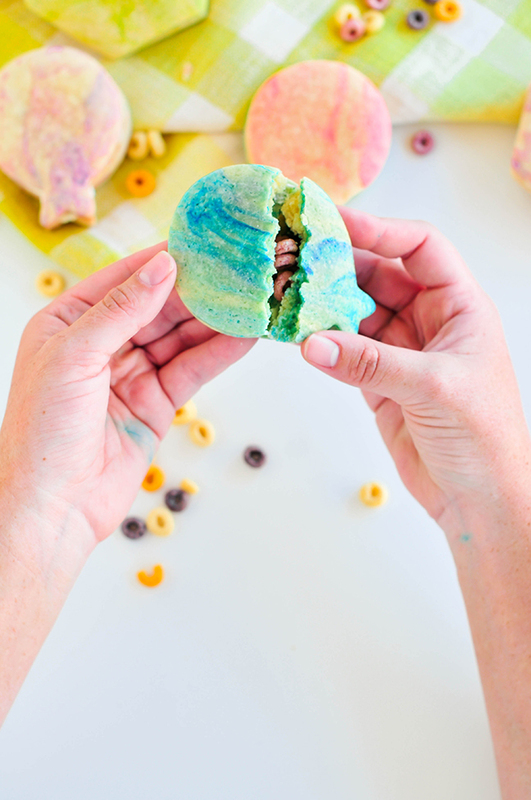 Who doesn’t love a surprise when they bite into a cookie? (Unless it’s a raisin. Or is that just me?) We’re nearing the month of May, and I’ve started to round up a few ideas for a simple Cinco de Mayo party. 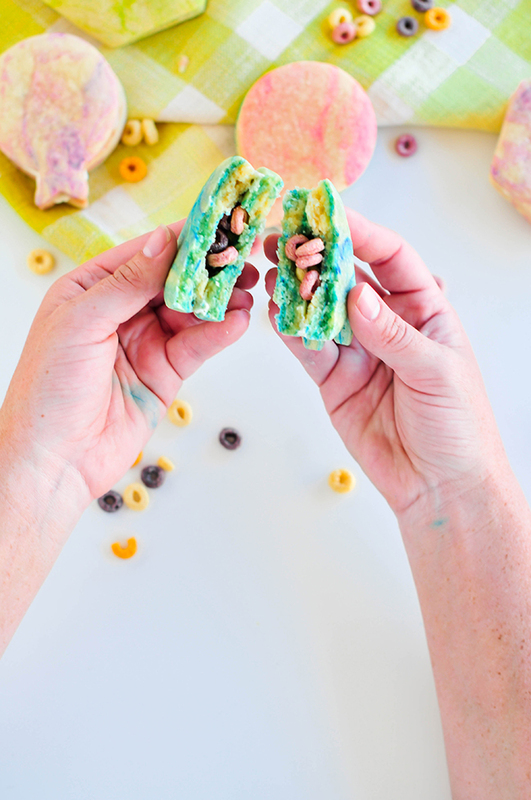 While I do love having candy in all the things, some mamas might want a chance to make something fun, but a little bit healthier. 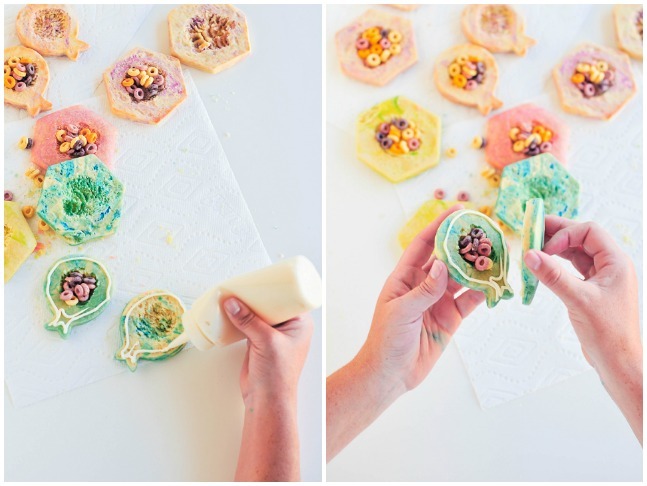 These sugar cookies are a bit like a piñata: Break them open and find out what’s inside. Step 1: Start by creaming the butter and sugar together in a large mixing bowl. Step 2: Add in the eggs, one at a time. Add the vanilla and mix well. Step 3: In a separate bowl, add the dry ingredients and mix to combine. Slowly add the dry ingredients to the wet and mix well. Separate into 3–4 small slabs of cookie dough. Step 4: To add colour, add 2 drops of assorted food colouring to each slab of dough, and knead gently until the dough is slightly marbled. 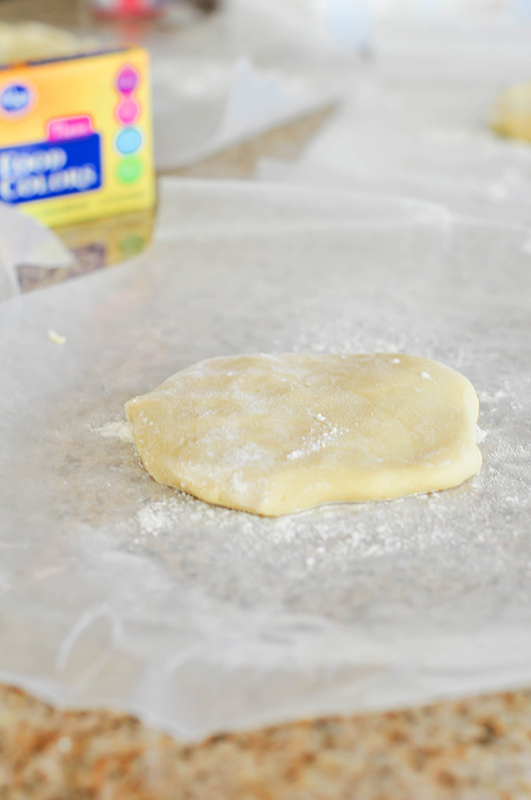 Step 5: Place each slab on a sheet of lightly floured wax paper and cover with another sheet. 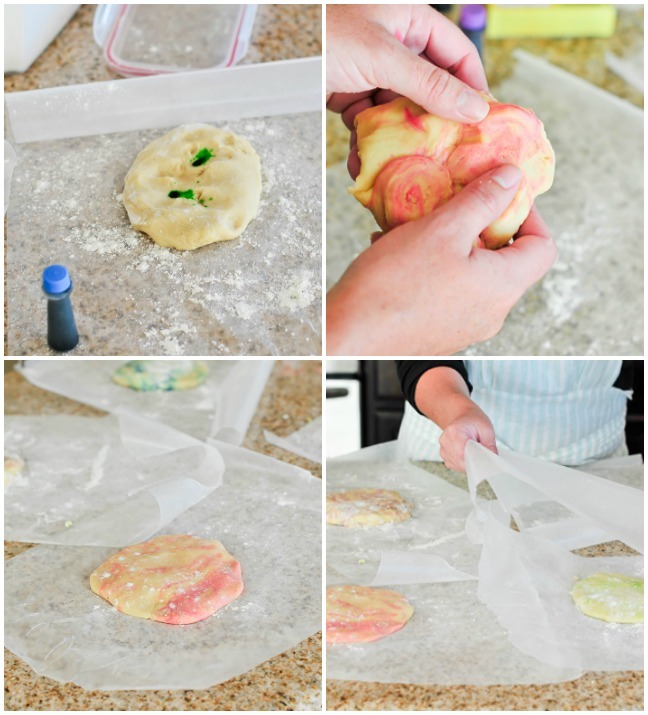 Use a rolling pin to roll the dough out to ¼” thick. Stack the slabs on top of each other and chill in the refrigerator for 45 minutes. Step 6: Once the dough has chilled for 45 minutes, quickly remove one slab at a time and use a metal cookie cutter to cut out your shapes. 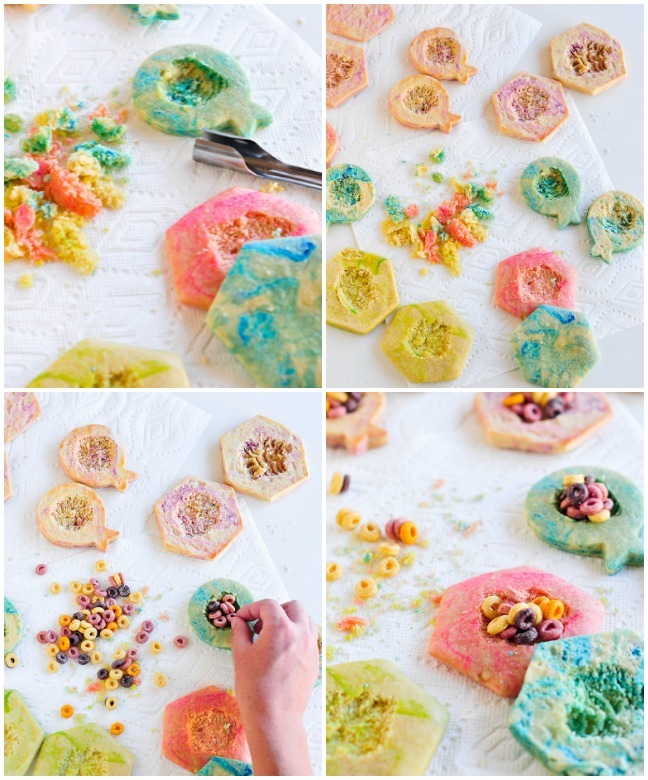 You’ll need two matching cookie shapes to create one piñata. 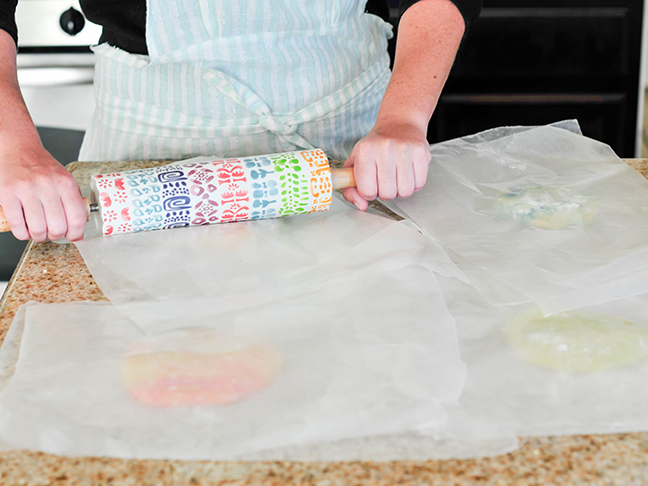 Place each shape on a parchment-lined cookie sheet and place the cookie sheet in the refrigerator for 7 minutes. Step 7: Once they’ve chilled a bit more to firm up, bake for 9 minutes in a 350 degree Fahrenheit oven. Step 8: It’s time to hollow out the cookies. 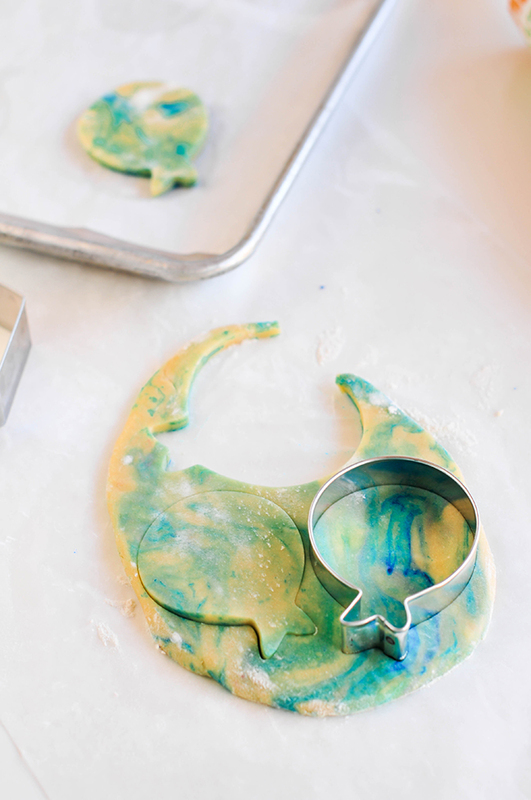 Use an apple corer and gently carve out a bit of the center of each cookie. Be careful not to go completely through the cookie. You just wanted to carve a small compartment. 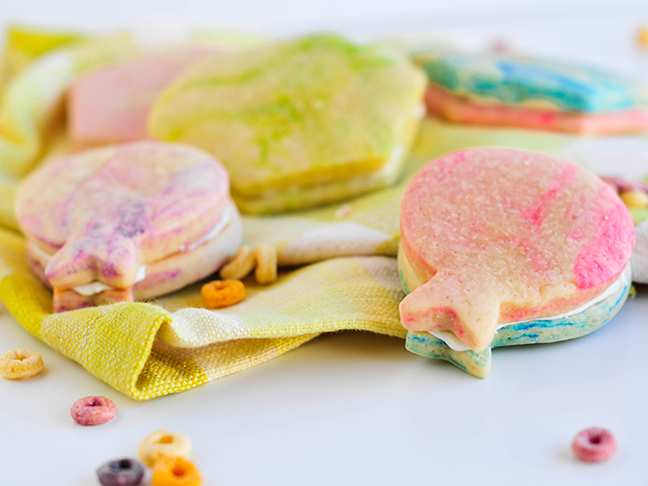 I love how the marbling turned out on each cookie. So fun. 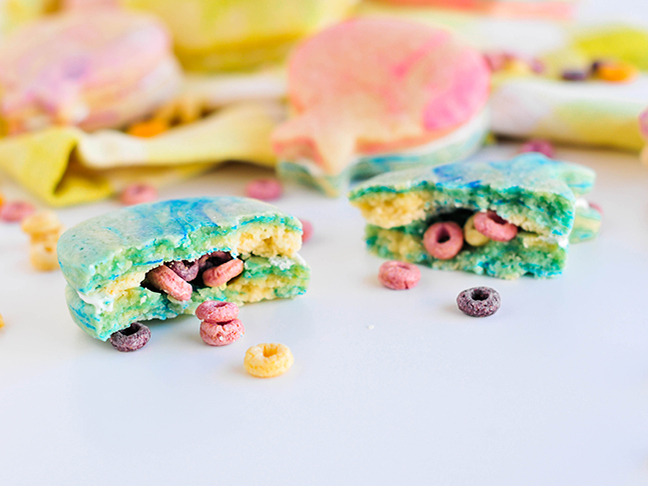 And when you break each one open, there’s a little fruity surprise inside. These are a great alternative if you are looking for something different than candy to fill your treats with. 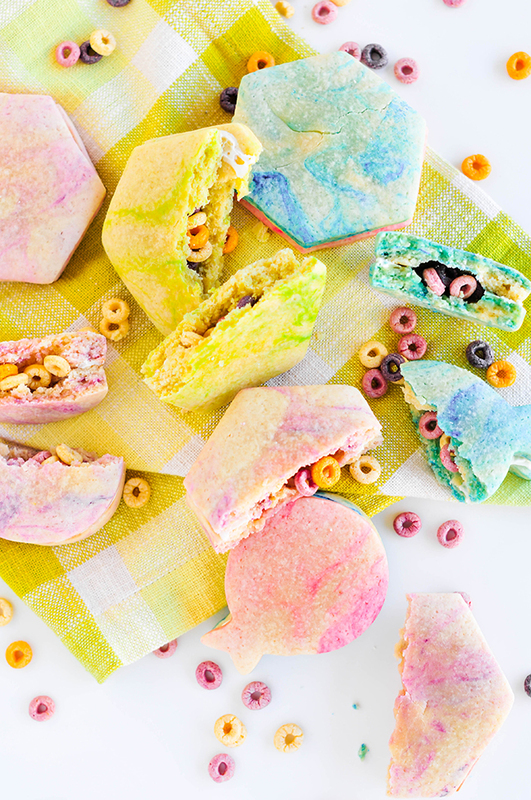 The cereal is fruity and colourful and are a fun surprise to have spill out every time you crack one open.